During the holidays I didn't watch what I ate or my calorie intake, except for breakfast. I actually enjoy to eat eggs every day, for example with ham. But now that the new year has started I thought to replace the ham for veggies. 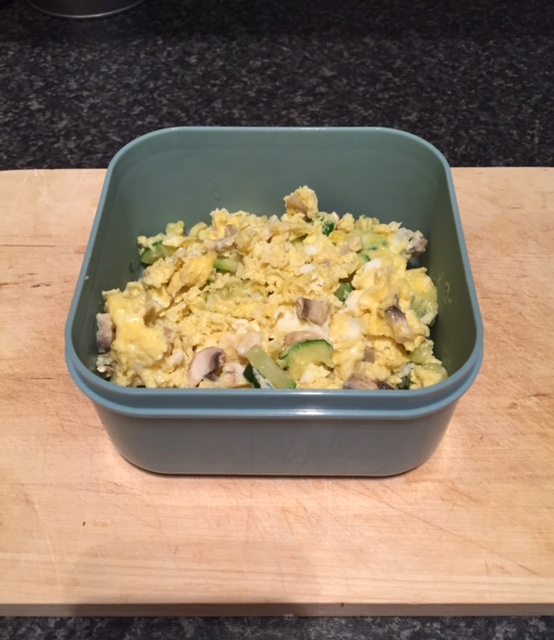 Courgette, mushrooms, or really any kind of vegetable you like (last week I had onions and broccoli) and two eggs! Perfect breakfast to bring to work!